This uses xdm instead of lxdm as this tests LXQt without having any GTK+ dependencies installed. lxdm does give a nicer experience at the cost of needing GTK+. YMMV. So, what is it like? Well - alpha is how I might describe it. Not in terms of stability, more in terms of functionality. 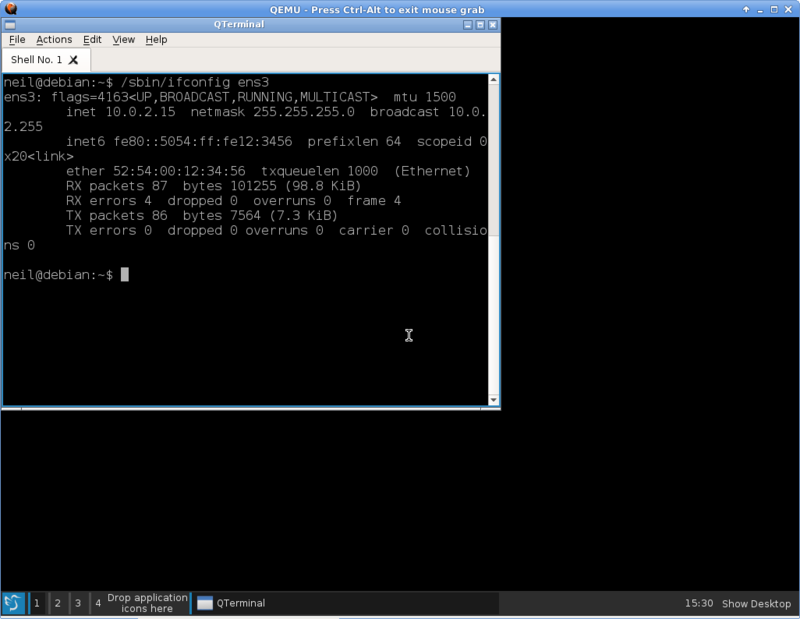 I do have a second install using lxdm which has been tweaked but it depends on your objective. 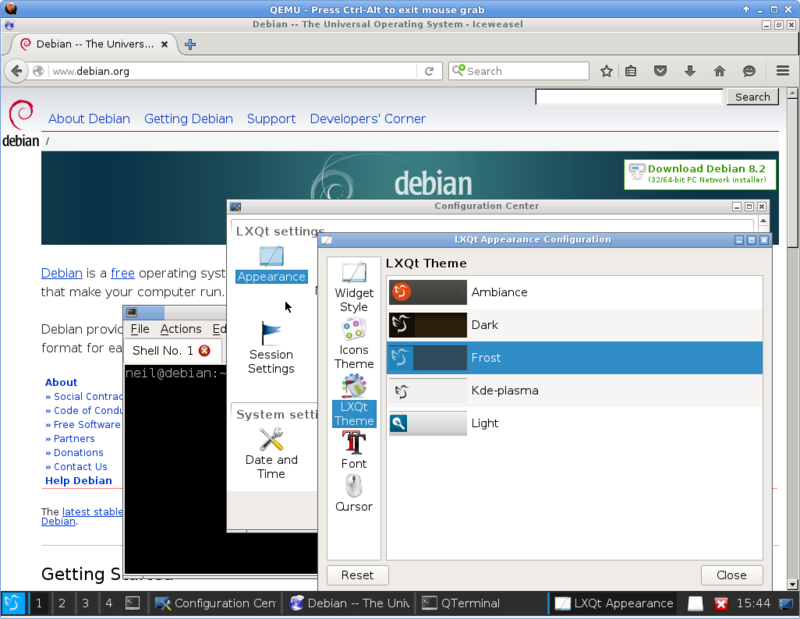 If your aim is to not have GTK+ but not have KDE, then LXQt is a beginning only. In particular, if you really are intent on not having GTK+ at all, your choice of web browser is somewhat limited, to lynx. (There's no bare Qt file manager in Debian - pcmanfm-qt depends on libfm-modules which uses GTK+ - nor a bare text editor despite this being one of the simplest examples of a QApplication). There is a large gap in the software availability which is Qt but not KDE, despite the power and flexibility of Qt itself. (I've written applications using Qt directly before, it is much more flexible and configurable than GTK+). So there would seem to be a reason why a metapackage and a task package do not yet exist, there is a lot more to do. I'm happy to mix GTK+ applications, so my test environment can use iceweasel, chromium, leafpad and thunar. Overall, this was an interesting diversion prompted by a separate discussion about the merits and controversies of GTK+, GNOME etc. I failed to work out why the icon theme works if lxdm was installed but not with xdm (so there's a missing package but I'm not yet sure exactly which), so the screenshot is more bare than I expected. Finally, note #809339 - I have local changes which are being tested to use systemd-networkd but currently the masking of PredictableInterfaceNames as documented does not work, so some editing of /etc/network/interfaces.d/setup (or enable systemd-networkd yourself and add a suitable file to /etc/systemd/network/) will be needed to get a working network connection in the VM.